On Sunday, April 29, 2018 at approximately 5:06 PM CST, KSP Tpr. Nick Davis observed a green 2009 Kawasaki motorcycle traveling northbound on Ky 61 at a high rate of speed. Tpr. Davis initiated his emergency equipment in an attempt to conduct a traffic stop for the violation. The suspect turned west on the Louie B. Nunn Parkway. The pursuit lasted approximately 17 minutes, travelling 32 miles, reaching speeds in excess of 150MPH prior to the suspect being stopped. 40-year-old Jason Woodard of Hickman, Tennessee was arrested and charged with Fleeing or Evading Police 1st Degree (motor vehicle), Speeding, Wanton Endangerment 1st Degree, along with several other charges. He was lodged in the Adair County Jail. A passenger on the motorcycle, 36 year-old Jerri Woodard of Lawrenceburg, KY was not charged. KSP was assisted by Columbia P.D. and Adair County S.O. Three people were injured in a single vehicle, rollover accident Friday morning in the Half Acre community. Sgt. Evan Burton’s investigation determined that Christian Furkin, 26, of Columbia, lost control of her 1999 Chevrolet truck on Old Clear Springs Road, resulting in the vehicle leaving the roadway, striking an embankment and then flipping at least once, ejecting Furkin. Furkin was taken by Russell County EMS personnel to the Russell County Hospital and then airlifted to the U.K. Medical Center for treatment of her injuries. Two passengers were also injured and treated at the Russell County Hospital, Tyler Barrett, 36, of Columbia, and a two-year-old child. The Boil Water Advisory for Hwy 910 in Russell County has been lifted. The Adair County Sheriff's Dept. 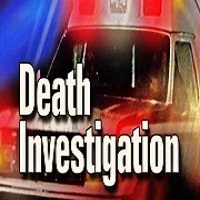 is investigating a death in Adair County. On Friday, April 27, 2018 at approximately 10:32 p.m., Adair county 911 received a call of a unresponsive female at the Kozy Cabins off of Hwy South 55. Adair EMS along with Adair County Sheriff deputies and officers from the Columbia Police Department responded to the scene and located 46-year-old Penni Smyth of Austin, Kentucky not breathing. Emergency personal attempted to resuscitate the female but were not successful. Smyth was pronounced deceased at TJ Heath Columbia by Deputy Coroner Tony Bragg and sent for an autopsy. During the course of the investigation, officers on scene located and confiscated an illegal moonshine still and approximately 9 gallons of moonshine from John and Peggy Haskell, owners of Kozy Cabins. This investigation is ongoing with charges pending. Deputy Josh Durbin is investigating with assistance from sheriff Harrison Moss and Officers Cole and Brockman with Columbia Police. Columbia, KY. (April 26, 2018) Trooper Nick Davis is investigating a collision that occurred Thursday evening, April 26, 2018 at 5:41 PM CST two miles north of Columbia on Pelham Branch Road. Jacob Sturgeon, age 19 of Columbia, was traveling south on Pelham Branch Road in a 2005 Chevrolet Trailblazer when he failed to negotiate a curve striking a guardrail. Sturgeon, along with a 15 year old passenger, Malayziah Deel of Columbia, were not wearing seatbelts. Sturgeon was not injured. Deel was treated and released from T.J. Health Columbia. Trooper Davis was assisted at the scene by Adair County EMS. FRANKFORT, Ky. (April 26, 2018) - The U.S. Environmental Protection Agency (EPA) announced today it has selected the Lake Cumberland Area Development District to receive a $300,000 community-wide Brownfield Assessment Grant. The EPA selects recipients every year to receive funding for brownfield site revitalization. This helps local governments identify and redevelop vacant and unused properties, transforming communities and local economies. Funds from the Lake Cumberland Area Development District’s community-wide hazardous substances and petroleum grant will be used to assess brownfield sites in McCreary and Wayne counties, two of the 10 south-central counties served by the district. 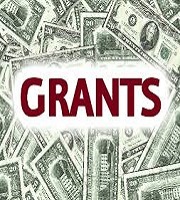 Grant funds also will be used to update a brownfields inventory and support community outreach activities. “EPA brownfield grants provide a critical boost to help communities move these abandoned properties into safe and productive reuse,” said Amanda LeFevre, director of the state’s Division for Compliance Assistance. Brownfields are properties that have been abandoned or underutilized due to real or perceived environmental contamination. They can include old factories, abandoned hospitals, old schools, former service stations and mine-scarred lands. There are an estimated 8,000 brownfields across the Commonwealth. Over the past 11 years, with the help of the Kentucky Brownfield Redevelopment Program, the Kentucky Department for Environmental Protection has helped communities get more than $13.3 million in EPA brownfields’ grants to assess and remediate brownfields across the Commonwealth. The Kentucky Brownfields Redevelopment Program offers assessment and grant review services, technical assistance and brownfields grant writing education to those communities and organizations that wish to revitalize properties with an environmental past. If you are interested in brownfields revitalization and brownfields grants, contact the Kentucky Brownfields Redevelopment Program at 502-564-0323 or envhelp@ky.gov. 5. A BG-2 & BG-3 for the Lake Cumberland Regional College & Workforce Center, and Design Development Documents pending Kentucky Department of Education Approval. 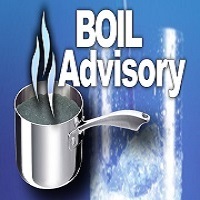 There is a boil water advisory in Russell County on Hwy 910 from Oliver Thomas Road down to Mount Eden Road. The advisory is due to water line relocation work where the new on/off ramps going on the Cumberland Parkway are located. KSP ENCOURAGES CITIZENS TO PARTICIPATE IN "NATIONAL DRUG TAKE BACK DAY"
FRANKFORT, Ky. (April 25, 2018) The Kentucky State Police and the U.S. Drug Enforcement Agency (DEA) are partnering on April 28, 2018 to encourage citizens to remove potentially dangerous medicines from their homes and dispose of them safely. “National Prescription Drug Take Back Day addresses a crucial public safety and health issue by providing a convenient way for citizens to help prevent drug addiction and overdose deaths,” says KSP Commissioner Rick Sanders. Leftover or expired drugs can be harmful in a variety of ways, says Sanders. Out-of-date medications can degrade and lose their effectiveness. They can pose environmental pollution to water supplies if disposed of improperly. They can be accidently ingested by children, stolen, misused and abused. Last year, citizens across the U.S. safely disposed of 456 tons of unneeded medications during National Prescription Drug Take Back Day. KSP collected 1,648 pounds during two take back events. ?Participants may dispose of medication in its original container or by removing the medication from its container and disposing of it directly into the disposal box located at the drop off location. ?All solid dosage pharmaceutical products and liquids in consumer containers will be accepted. Liquid products, such as cough syrup, should remain sealed in original containers. The depositor should ensure that the cap is tightly sealed to prevent leakage. ?Intravenous solutions, injectables and syringes will not be accepted due to potential hazard posed by blood-borne pathogens. ?Illicit substances such as marijuana or methamphetamine are not a part of this initiative and should not be placed in collection containers. 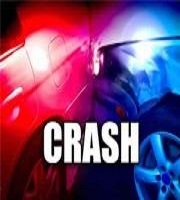 A Campbellsville, KY teen was flown to a Louisville hospital following a collision late Wednesday night. According to the Taylor County Sheriff's office, Kern Kost, 19, of Campbellsville was westbound on KY Hwy 70 at 2831 Elkhorn Rd when the 2014 Nissan he was driving crossed over the eastbound lane, left the roadway and overturned several times. Kost was ejected from the vehicle. Taylor County EMS and Taylor County Fire and Rescue assisted in the transport of the victim as he was flown to Louisville with unknown injuries. Taylor County Deputy Mark Dickens is investigating the accident that happened at 11:23 pm ET Wednesday. A Russell Springs man was arrested last night in connection with a residential burglary that occurred just over a month ago in the Esto community. Matthew Jasper, 38, was initially taken into custody on a child support warrant from Russell County and a misdemeanor theft warrant from Adair County. Information provided to Sheriff Clete McAninch and Deputies resulted in Jasper also being charged with Burglary 2nd Degree and Theft by Unlawful Taking. Jasper is accused of burglarizing a house around March 21st during which numerous appliances and other items were stolen and sold. A social media post by the victim earlier this week prompted a call that led to Jasper and the locations of most of the stolen items. Jasper was lodged in the Russell County Jail. (April 25, 2018) Kentucky State Police investigated a single vehicle collision that resulted in a fatality this morning (Wednesday) on KY 738, four miles west of Albany around 7:36 a.m. CT. Preliminary investigations indicate that 16 year-old Breonna Groce of Albany was operating a 1997 Chevrolet traveling east on KY 738 when she dropped off the right side of the road. Groce overcorrected crossing the roadway where she ran off the left side striking a fence. The vehicle overturned and rolled multiple times, causing Groce whom was unrestrained to be ejected from the vehicle. Groce was pronounced dead at the scene by the Clinton County Coroner. Sgt. Randall Honeycutt is investigating and was assisted on scene by units from Post 15 Columbia, Albany Police, Clinton County EMS, Fire and Sheriff’s Department. Campbellsville Water has issued a Boil Water Advisory for all of Reids Chapel Road (including side roads) and all of Wise Road. The advisory has been issued to repair a main line. Until further notice, boil water used for human consumption at least three mniutes before using. This boil water advisory was issued 4/24/2018. The Boil Water Advisory for the consumers of the Green-Taylor Water District for the intersection of hwy 61 N & Bluebird Lane to Rainbow Trout Rd and all side roads, including Buckner Hill, Hwy 88 to the Green River Bridge and all side roads, Hwy 323 to the Taylor County line, all of Gabe Rd and all side roads, hwy 569, Hudgins Hwy and all side roads, hwy 424 up to Lena Ward Rd including Lena Ward Rd. has been LIFTED. 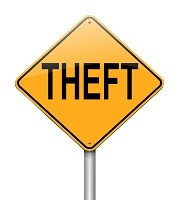 BOWLING GREEN, Ky. – A Red Boiling Springs, Tennessee man pleaded guilty four counts of interstate transportation of stolen property yesterday, in United States District Court, before United States District Judge, Greg N. Stivers, to defrauding investors of $194,000 as part of a scheme to develop a call center in Tompkinsville, KY, announced United States Attorney Russell M. Coleman. There is no parole in the federal prison system. John Cook, age 57, pleaded guilty yesterday to four counts of interstate transportation of stolen property. According to a plea agreement entered in open court, Cook admitted that in September 2013, he solicited $194,000 in investment funds from four individuals in Monroe County, Kentucky, for the purpose of developing a call center. In exchange for the investment funds, Cook provided a written promissory note explaining that the money would be used for the call center and described an unrealistic return on investment. Cook created Minority Holdings and Management LLC (“Minority Holdings”) in September 2013. The promissory notes were issued by Cook in the name of Minority Holdings. Cook also opened a bank account for Minority Holdings at the bank of Putnam County in Tennessee. Cook cashed the checks, deposited the checks in the Minority Holdings accounts, or converted checks to cashier’s checks. Cook used a lot of the investment money to operate the Donoho Hotel located in Red Boiling Springs, TN. Cook spent a minimal amount of investment funds on call center related expenses. However a majority of the expenses of the account were used for the Donoho Hotel payroll and for his personal expenditures. There has been little to no development of a call center in Tompkinsville. Cook transported and caused to be transported from Kentucky to Tennessee, stolen, converted, and fraudulently obtained checks and monies from investors that he knew he was stealing, converting and taking by fraud at the time. All payments exceeded $5,000. All payments were solicited in Monroe County in the Western District of Kentucky. Cook is scheduled for sentencing before Judge Stivers on July 31, 2018 at 9:00 a.m. CDT in Bowling Green. 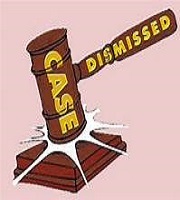 This case was prosecuted by Assistant United States Joshua Judd and was investigated by the Federal Bureau of Investigation (FBI). The following voters may apply to cast their votes by MAIL-IN absentee ballot if the application is received not later than the close of business hours seven (7) days before the May 22, 2018 election. 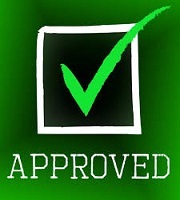 The application has to be in house by the close of the business day, which is 4:00 p.m. on May 15 to receive your ballot. Therefore, please request your absentee in time to have the application before the deadline. Once an absentee ballot is requested, you will be mailed an Application to fill out which has to be mailed by to the Clerk’s Office, once we receive the Application we then will mail your Ballot. Please follow instructions completely when filling out your ballot. Residents of Kentucky who are uniformed service voters as defined in KRS 117A.010 confined to a military base on Election Day and who learn of that confinement within seven (7) days or less of the election and are not eligible for a paper absentee ballot. A voter who is a pregnant woman in her last trimester of pregnancy at the time she wishes to vote. County Board of Elections members, staff, and deputy county clerks. The electioneering ban during absentee voting applies to the building, on days in which absentee voting is being conducted and prohibits election materials to be affixed to the interior and exterior of the building. No person shall electioneer within the interior of a building or affix any electioneering materials to the exterior or interior of a building where the county clerk’s office is located. No electioneering may be done within a 100ft of the entrance of said building. A Green County woman died early today (Tuesday) following a 2-vehicle accident just east of Greensburg on Campbellsville Rd. 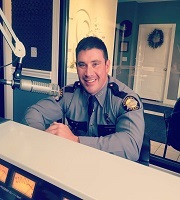 Green County Sheriff Robby Beard told 99.9 The Big Dawg that 55-year-old Dale Rae Conner of Greensburg, KY died after the vehicle she was operating was struck by John R. Boone Jr. of Campbellsville, KY. Boone told Sheriff Beard that his vehicle hydroplaned into the path of the Conner vehicle. Dale Rae Conner was pronounced dead at the scene by Green County Coroner Carol Ray. Mr. Boone was transported by Green Co. EMS to Jane Todd Crawford Hospital for treatment. The accident occurred at 1:30am this morning and was investigated by Green Co. Sheriff Robby Beard. 92.7 THE WAVE and the ADAIR COUNTY COMMUNITY VOICE are teaming up to provide voters a chance to learn about their Adair County candidates. “MEET THE CANDIDATES” will air live on 92.7 the WAVE and www.ridingthewave.com beginning Monday, April 30, 2018. All candidates will be given the opportunity to spend 5 minutes telling listeners about themselves. Lisa Clark and Sharon Burton will moderate the event and have the chance to ask questions. The forum is for contested races only! We will have another “Meet the Candidates” before the November General Election. The WAVE & The Times Journal will be having a “Meet the Candidates” for Russell County before the May Primary Election. 6:00pm - County Judge Exec. 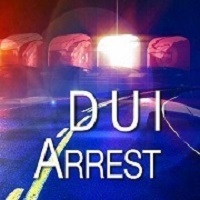 Authorities in Boyle Co. have arrested a man on DUI charges after he refused to move aside for an emergency responder vehicle. 31-year-old Richard C. Farris, Jr. was arrested by Boyle Co. Sheriff's Deputies on Monday. Farris was charged with Failure to Give Right-Of-Way to an Emergency Vehicle, DUI-2nd Offense (Aggravated Circumstance), No License in Possession & Wanton Endangerment-1st Degree. Farris was lodged in the Boyle County Jail. Four people were injured when two vehicles collided just after 7:30 p.m. Monday on the U.S. 127 Bypass in Jamestown. Sgt. Mark Cromwell’s investigation determined a 1998 Ford Ranger operated by Gary Vance, 23, of Louisville, KY was attempting to turn left from southbound HWY 127 onto KY 92, pulling into the path of a northbound Mitsubishi being driven by Sherry Bradley, 61, of Jamestown, KY resulting in the collision. Both drivers were injured as well as two passengers in the car: Shane Hatfield, 41, and 9-year-old Jocelyn Bradley. Vance and Hatfield were both initially treated at Russell County Hospital and later transferred to the U.K. Medical Center. Sherry and Jocelyn Bradley were both taken to the Lake Cumberland Regional Hospital for treatment of their injuries. Sgt. Cromwell was assisted at the scene by Deputy Nathan Ginn. The Russell County EMS was assisted by the Jamestown Fire Department. The Columbia City Council will meet in special called session on Tuesday, April 23, 2018 at 4:45pmCT in City Hall. Two Adair County residents were airlifted to University of Louisville Hospital following a single vehicle collision over the weekend. Police say speed & alcohol may have been contributing factors. On Saturday, April 21, 2018 at approx.12:45amCT, the Columbia Police Department was dispatched to Fairground Street to a reported injury accident. Upon Officers Josh Brockman and Jamie Cole's arrival, it was discovered that one passenger had been ejected completely and the operator of the vehicle was partially ejected from the driver's window. Two additional passengers had freed themselves from the auto. The driver, Kemet Rufus, was pinned as a result of the crash and had to be extricated by mechanical means. Rufus was operating a 1996 Geo Tracker traveling east on KY 206 when he attempted to overtake a vehicle and lost control. Rufus left the right side of the roadway and struck a road tile, sending the vehicle airborne before overturning twice, coming to rest on its top 150 feet from where it left the roadway. The driver, Kemet Rufus, was treated on scene by Adair EMS and transported to TJ Health Columbia and then airlifted to University of Louisville via Air Evac. Two other passengers, Dereck and Alexus Grant, were taken to TJ Health Columbia where they were treated and released. The collision remains under investigation by Ofc. Brockman. Alcohol and speed are suspected as contributing factors. Charges are pending results of blood evidence collection sent to the KSP Central Lab for analysis for presence of alcohol & drugs. BURKESVILLE MAN ARRESTED FOLLOWING POLICE PURSUIT IN ADAIR CO.
A Cumberland Co. man was arrested on numerous charges following a police pursuit on Sunday evening in Adair County. On Sunday, April 22, 2018 at approx. 6:19pmCT, Adair County Deputy Sheriff Joey Keith located a stolen 1989 GMC pickup driving on the Columbia Bypass. Deputy Keith attempted a traffic stop, but the vehicle did not stop and lead Deputy Keith on a short pursuit traveling at speeds over 100 MPH. The pursuit came to a end when the vehicle ran out of gas on Pelham Branch Road. 27-year-old Jonathon Neathery of Burkesville, KY was taken into custody. Neathery was charged with Driving on a DUI Suspended License (1st offense), Fleeing or Evading Police 1st degree (motor vehicle) and Possession of Methamphetamine. Deputy Keith was assisted on the scene by Adair Co. Deputy Brandon Hitch and Columbia Police Officer Jamie Cole. 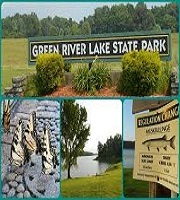 Wes Lanham has been named the new park manager at Green River Lake State Park in Campbellsville, Parks Commissioner Donnie Holland announced on Friday, April, 20, 2018. Lanham, a native of Corbin, KY earned his degree in recreation and park management administration from Eastern Kentucky University. He worked most recently as the manager at the Shiloh Roadhouse in London and was the director of parks and recreation in Corbin. 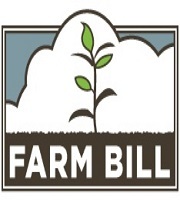 WASHINGTON, D.C. – On Wednesday, the U.S. House Agriculture Committee approved Congressman James Comer’s amendment to the Farm Bill. The amendment will provide the United States Department of Agriculture (USDA) with accurate population information when determining if a county is eligible for Rural Development funding. This type of funding includes Rural Broadband grants and loans, Community Facilities grants and loans, home loans and more. This is especially important for counties like Adair County. The county currently has a population of 19,485 people. It’s also home to a regional jail that serves surrounding counties. Congressman Comer’s amendment excludes people incarcerated on a regional basis from the total population, which helps counties approaching the 20,000 population cap for some Rural Development programs. This provision ensures the USDA can accurately count the members of a community with the ability to utilize Rural Development programs and pay taxes to support repaying loans. “Counties like Adair shouldn’t be denied the opportunity to address the needs of their rural communities because they are working with their neighbors for the benefit of the entire region. I’m proud the House Agriculture Committee approved my amendment to ensure places like Adair County are on a level playing field to compete for funding,” said Congressman Comer. Jamestown, KY, April 19, 2018 - Russell County Coroner’s Office and Kentucky Fish and Wildlife Resources are conducting a joint investigation into the discovery of a body on Lake Cumberland. The body of Danny Hatter, a 60 year old male from Liberty, KY was discovered near a private dock located on Lilly Creek on Lake Cumberland at approximately 10pmCT on Sunday, April 15, 2018. 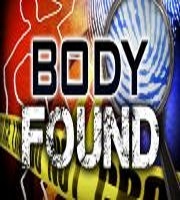 He was pronounced dead at the scene by Russell County Coroner, Michael Reynolds. An autopsy conducted on Monday, April 16, 2018 at the Kentucky State Medical Examiner’s Office in Frankfort, KY determined the preliminary cause of death to be consistent with drowning. Danny Hatter was reported missing to the Casey County Sheriff’s Office in early March, 2018 by family. As of 1:25 p.m. on Friday, April 20, 2018 the Boil Water Advisory for all customers County & City wide has been lifted by the Division of Water. This means your water is safe for human consumption. You no longer have to boil your water. The Russell Springs City Council will have a Special Called Meeting on Thursday, April 19, 2018 at 6:00 p.m. 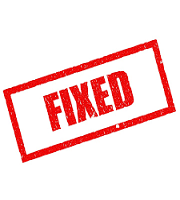 The Columbia/Adair Utilities District main line leak has been repaired and customers no longer have to conserve water. There is a County/City Boil Water Advisory until further notice. On Friday morning, April 20, 2018 a Pre-Prom mock accident will be held on Adair County School grounds. 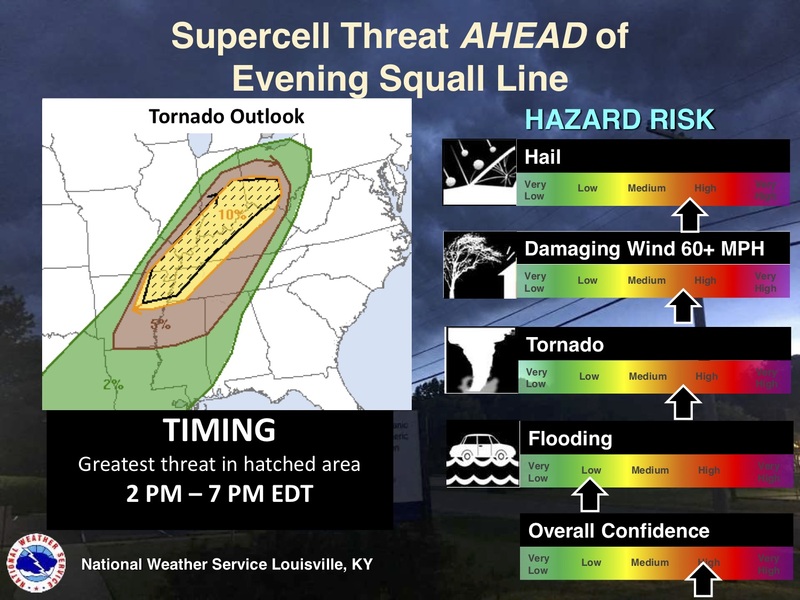 The action will start at approximately 8:30amCT. A BOIL WATER ADVISORY is in effect for consumers of Columbia Adair Utilities District for customers County and City wide. The advisory has been issued due to main line Leak. The best chance for frost will be in the southern portion of the Bluegrass region, and in sheltered valleys and typical cold spots. 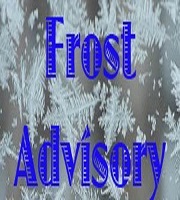 A Frost Advisory means that frost is expected. Sensitive outdoor plants may be killed if left uncovered. Columbia/Adair Utilities District has a main line leak on an 18” line from the Water plant into town. 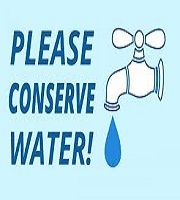 Everyone is asked to conserve water until further notice. Be listening to 92.7 the WAVE and https://www.ridingthewave.com for updates. BOIL WATER ADVISORY LIFTED - The boil water advisory for customers at 103-307 E. Guardian St., all of S. Reed St. , 203,209, 301 & 304 Burkesville St., 303 Monroe St and 104-106 Church St. has been lifted by the Division of Water Columbia office. This means your water is safe for human consumption. You no longer have to boil your water. Homeplace on Green River’s Plow Day and Spring Festival will liven up southcentral Kentucky again April 21, 2018. This year will see antique tractors join the horse and mule plow teams, exhibits, demonstrations, arts and crafts sales, hands-on activities, historical reenactors and all kinds of animals. There will be hay rides and a barrel train and petting farm for the youngsters. Artists and crafters will be selling their Kentucky-made products. There will be food vendors and all-day live music in the newly restored and renovated bank barn. All will be geared toward a day of family food and fun. The festival is from 9:00 until 5:00 Eastern Time. Among the many exhibits and demonstrations will be a grist mill and butter-making, colonial re-enactors, horse shoeing, hand-on pottery making for the younger set, pocket knife whittling, draw knife and a shave horse demonstration, discussion on barrel racing on a horse by a professional woman barrel racer, arrowhead crafting, a grist mill and blacksmith. Hands-on activities will include butter making, a potter’s wheel, and a petting farm. Margie and Paul Phibbs from Barnett Creek Frarms will have the alpacas and alpaca wool products at the festival and Darlene Campbell will be displaying and showing natiive American languages, culture, customs and crafts. The $10 per car for admission includes all the activities except for products purchased from vendors. 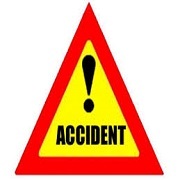 Adair Co. Sheriff Harrison reports that on Wednesday, April 18, 2018 at approximately 4:01pm, the Adair County Sheriff's Office was dispatched to a single vehicle accident with injuries around the 1500 block of Sano Road. A 1999 GMC Garbage truck being operated by 66 year old Jeffery Sparks of Columbia, KY was traveling north on Sano Road when the garbage truck dropped off the shoulder of the road and overturned. Sparks was treated on scene by Adair County EMS and transported to TJ Health Columbia for injuries sustained. Deputy Derek Padgett is investigating the accident and was assisted on scene by Adair County Sheriff Harrison Moss and members of the Adair County Fire Department. Tompkinsville, KY (April 18, 2018) Kentucky State Police investigated a single vehicle injury collision on Old Temple Hill Road 10 miles east of Tompkinsville Wednesday at 7:36amCT. Preliminary investigations indicate that 41 year-old Michael Bennett of Edmonton was operating a 2006 Freightliner traveling west on Old Temple Road when his load shifted causing him to run off the right side of the roadway and overturn. Bennett was wearing his seat belt at the time of the collision. Bennett was transported to the Monroe County Medical Center by the Monroe County EMS with non-life threatening injuries. Senior Officer Casey Tooley is investigating the collision and was assisted by Monroe County Emergency Management, EMS, Road Department and Sherriff’s Office. A Pulaski Co. man was arrested on numerous charges in Adair Co. following an early morning traffic stop. Adair County Sheriff Harrison Moss reports that on Tuesday, April 17, 2018 at approximately 2:11amCT, Deputy Josh Durbin conducted a traffic stop on a 2005 Chevy for having the wrong tag number on the vehicle. After a roadside investigation the operator of the vehicle, 35-year-old Joseph Williams of Somerset, KY was placed under arrest after he was found to be in possession of methamphetamine and a concealed handgun. Williams was charged with Rear License not Illuminated, Improper Registration Plate,Carrying a Concealed Deadly Weapon, Possession of Methamphetamine and Possession of Drug Paraphernalia. Deputy Durbin was assisted on the scene by Officer Dean with the Columbia Police Dept. “I promised my constituents that I would disclose my income taxes because I feel that taxpayers have a right to know where their leaders’ income originates, especially when those leaders vote on major tax reform legislation,” said Congressman Comer. In keeping his pledge for transparency, Comer’s taxes and other information including financial disclosures, office expenses and travel expenses are posted under the Transparency and Financial Disclosures tab on his website. The Adair County School Board Regular Monthly Meeting will be Thursday, April 19, 2018 at 6pmCT at the Adair County Board of Education Building Conference Room, 1204 Greensburg Street, Columbia, KY.
First and foremost, I would like to send out my condolences to the family and friends of Glenn Morrison, Jr, age 33. After being arrested, he was sent to TJ Health Columbia where the doctor medically cleared him for incarceration. At 1:36amCT on Sunday April 15, 2018 Morrison was booked into the Adair County Jail. He was periodically checked on throughout the morning and all through the day by deputies per protocol. During cell checks, Morrison was awake and was interacting well with deputies and cellmates in isolation. Morrison was alert at breakfast (when he saw pre-trial for bond), and lunch-time, up until a cell check when deputies saw that he was distressed. Deputies notified the jail nurse and me (Jailer White) and 911 was immediately called. Upon arrival of EMS, Morrison walked to the stretcher and laid down. He was transported by EMS to TJ Health Columbia for further medical attention. I'd like to say that Glenn Morrison JR was always respectful and would always joke and speak to you no matter where he was. In closing, the jail staff and I will greatly miss him and our thoughts and prayers are with his family and friends. (Tuesday-5:20pmCT) Hwy 61 South between Breeding & Burkesville remains closed this evening. This section of road (approx. 3 miles south of the Adair/Cumberland County line) was closed following a police pursuit this morning at 7:19am that resulted in the suspect crashing his vehicle into a Cumberland Co. Deputy Sheriff's cruiser. COLUMBIA, KY (Tue 17 Apr 2018) - This morning at approximately 7:19amCT, the Cumberland County Sheriff's office received a call of a suspicious vehicle on Lawsons Bottom Road. A Cumberland County Deputy Sheriff responded to the area, located the vehicle and attempted to make a traffic stop which led to a pursuit. The Burkesville Police Department and KSP joined in the pursuit, which ended with the suspect vehicle crashing into a Cumberland County Deputy Sheriff's cruiser. During the pursuit, a law enforcement officer's weapon was discharged, striking the victim. The victim was transported to Albert B. Chandler Hospital in Lexington, KY where he is listed in critical condition. A female passenger in the vehicle was taken into custody for outstanding warrants. No one else was injured. The KSP Critical Incident Response Team is currently investigating the incident. On Sunday, April 15, 2018, the Columbia Police Department was requested to initiate an investigation into the death of an inmate. Preliminary investigation shows that 33-year-old Glen Morrison Jr. was brought into the facility and booked in at 1:36 a.m. on charges of Disorderly Conduct, Resisting Arrest, Trespassing, Public Intoxication and Tampering with Physical Evidence. Morrison was transported to TJ Health Columbia for medical clearance prior to his booking as officers suspected him of swallowing narcotics. Preliminary investigations show that jail deputies had contact with Morison on at least four separate occasions between 6:00am and 1:15pm. The interactions were to remove Morrison from his cell to complete a specific task. This does not include cell checks that are conducted every 30 minutes, all of which were observed to be okay. During ALL interactions, Morrison showed no signs of distress and he did not request medical attention. At approximately 1:29pm, Morrison’s cellmates called to the attention of jail staff that he needed help. Jail deputies saw that he was shivering and lethargic and took him to the nurses station. At approximately 2:00pm, it was determined that Morrison needed to be transported to TJ Health for additional treatment and at 2:01pm dispatch was called. Adair County EMS arrived and Morrison walked himself over to the stretcher where he was then transported. At 3:41 pm Morrison was pronounced deceased at TJ Health Columbia and Adair County Deputy Coroner Mike Keltner was notified. A review of security footage from a local business does show that it appears he removed something from his pocket and ingested it prior to officers reaching him before his arrest. A full report and toxicology are still pending and will be released to the office of Adair County Coroner Todd Akin and law enforcement when completed by the State Medical Examiners Office. As of 8:30amCT, traffic on Hwy 61S approximately 2 to 3 miles into Cumberland County, is reportedly being rerouted due to an accident. Breeding Loop is being used for southbound traffic rerouting. Road closure is anticipated over the next 3 to 4 hours. According to Sheriff Greg Speck, deputies responded to a two vehicle injury accident on Tateville-Antioch Road at approximately 8:38 AM on Monday, April 16, 2018. Upon arrival at the scene, a half mile off South Highway 27, Deputy Zach Mayfield found three individuals suffering injuries from the accident. Preliminary investigation by Deputy Mayfield found that Patricia C. Nicholas, age 49 of Racetrack Road, Burnside, Kentucky was southbound in a white 2000 four door Chrysler when she became temporarily distracted and drifted into the northbound lane. Joshua M. Jones, age 30 of Old Patterson Branch Road, Somerset was northbound in a black 2000 Honda two door automobile when they collided head-on. Patricia C. Nicholas declined treatment at the scene. Joshua M. Jones was treated at the scene by Pulaski EMS personnel and was transported to Lake Cumberland Regional Hospital for treatment. Two passengers in the Honda, Gerald W. Fusion, age 42 of Eubank, Kentucky and Marissa A. Jones, age 28 of Somerset, Kentucky were treated at the scene and later transported to LCRH for treatment of their injuries. Members of the Tateville Volunteer Fire Department assisted units at the scene. PRIOR TO THE REGULAR BUSINESS, TWO CITIZENS ADDRESSED THE COURT SEEKING HELP WITH A SO-CALLED NEIGHBORHOOD TERRORIST. THEY STATED CALLING THE SHERIFF'S OFFICE NUMEROUS TIMES, AND THOUGH THERE HAVE BEEN SEVERAL RUN-INS WITH LAW ENFORCEMENT, THE ACCUSED PERSON HAS YET TO STOP THE HARRASSMENT. THEY TOLD THE COURT THIS PERSON HAS THREATENED THE LIVES OF AT LEAST TWO INDIVIDUALS, AND EVEN FIRED ON OFFICERS. COUNTY JUDGE EXECUTIVE, RANDY DIAL, HEARD OUT THE COMPLAINTS, HOWEVER TOLD THE TWO THAT THE FISCAL COURT HAS NO AUTHORITY OVER THE COUNTY SHERIFF'S OFFICE. THE CITIZENS ALSO STATED SOME DISSATISFACTION WITH THE COUNTY DISPATCH SERVICE AND PROVIDED SOME DOCUMENTATION TO THE COURT. NO ACTION WAS TAKEN, HOWEVER, JUDGE DIAL ASSURED THEM HE WOULD LOOK INTO THE MATTER. THE COURT WILL SOON BE ACCEPTING YEARLY BIDS. JUDGE EXECUTIVE RANDY DIAL SAID THE COURT RECEIVED ONLY ONE BID ON DUMP TRUCKS. THE BID, FROM WORLD-WIDE EQUIPMENT, WAS ACCEPTED IN THE AMOUNT OF NEARLY $142,000 PER TRUCK, FOR THREE TRUCKS. SOME 2018 TRUCKS, ALONG WITH A '98 CHEVY 4X4, AND A '03 FORD 4X4, WERE DECLARED SURPLUS PROPERTY AND WILL BE SOLD IN JUNE. SEVERAL COUNTY TRUCKS WERE DECLARED SURPLUS AND WILL BE SOLD IN JUNE. A FIRST READING OF THE PROPOSED 2019 FISCAL BUDGET WILL BE PRESENTED AT THE NEXT REGULAR FISCAL MEETING, SCHEDULED FOR MAY 7TH. Joe Goforth, 55 of Yosemite, arrested by KSP for Hindering Prosecution of Apprehension-2nd Degree, Menacing, Resisting Arrest, & Disorderly Conduct-2nd Degree. Cody L. Montgomery, age 22, arrested by Danville Police for Carrying a Concealed Weapon, Resisting Arrest, Disorderly Conduct-1st Degree, Escape-2nd Degree, & Receiving Stolen Property (Firearm). Travis Popplewell, 22 of Stanford, arrested by Stanford Police for Alcohol Intoxication in a Public Place, Disorderly Conduct-2nd Degree, & Criminal Trespassing-3rd Degree. Donald K. Hester, 42 of Stanford, arrested by KSP, for Speeding 25 MPH over Limit, Disregarding Traffic Light, Failure to Wear Seat Belts, No Insurance, Fleeing/Evading Police-1st Degree (Motor Vehicle), & DUI-3rd Offense (Aggravated Circumstance). Jacqueline I. Rodriguez, 35 of Nancy, arrested by Pulaski Co. Sheriff's Office for Theft of Vehicle Registration Plate, No Registration Plates, & License to be In Possession. Linda M. Wilk, 65 of Somerset, arrested by Somerset Police for DUI-2nd Offense, & No Tail Lamps. Albany, Ky. (April 16, 2018) – Tpr. Alan Shirley is investigating a collision that occurred on Friday, April 13 at approximately 7:59 PM CST on KY 1266, 7 miles north of Albany. 53-year-old Lloyd W. Glover, of Albany, was operating a westbound 2016 Dodge when he lost control of the vehicle in a curve, left the roadway and struck a utility pole. Mr. Glover was belted and transported by family members to the Clinton County Hospital where he was treated and released for minor injuries. Columbia, Ky. (April 16, 2018) – During the month of March 2018, there were 13 traffic accidents investigated by the State Police working in the Post 15 area in the 11 counties of Adair, Casey, Clinton, Cumberland, Green, Marion, Metcalfe, Monroe, Russell, Taylor and Washington. There was one fatal collision during the month of March in the Post 15 area. Bruce Rule, 63, of Taylor Co. was killed on 03/14/18 in Taylor Co. This brings our yearly fatality count to 7 compared with 3 through this same period in 2017. Statewide fatality count stands at 142 compared with 171 through this same period in 2017. During the month of March 2018, there were 1212 citations written, 326 courtesy notices written, 1151 vehicles inspected, 739 complaints answered, 93 motorists assisted, 68 criminal cases opened and 344 criminal arrests made. 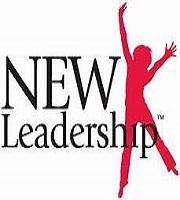 WHY: Replacing former Public Affairs Officer, Master Tpr. Billy Gregory who will be transferring to Public Affairs Branch at KSP Headquarters in Frankfort, KY.
Jamestown, KY, April 16, 2018 - The Russell County Coroner’s Office and Kentucky Fish and Wildlife Resources are conducting a joint investigation into the discovery of a body on Lake Cumberland. The body of a male was discovered near a private dock located on Lilly Creek on Lake Cumberland at approximately 10:00pmCT on Sunday, April 15, 2018. He was pronounced dead at the scene by Russell County Coroner Michael Reynolds. At this time, the identity has not confirmed. An autopsy conducted today (Monday, April 16th) at the Kentucky State Medical Examiner’s Office in Frankfort, KY determined the preliminary cause of death to be consistent with drowning. Positive ID has not been confirmed. WAVE News will have more information as it is made available. Gregory J. Sallee, 38 of Liberty, arrested by Deputy Weddle with Casey Co. Sheriff's Office for Possession of Methamphetamine. James E. Stacy, 26 of Hustonville, arrested by Deputy Weddle with Casey Co. Sheriff's Office for Burglary-1st Degree, Assault-4th Degree, & Tampering with Physical Evidence. Cecil D. Stacy, 27 of Liberty, arrested by Deputy Weddle with Casey Co. Sheriff's Office for Burglary-1st Degree, Assault-4th Degree, Criminal Mischief-3rd Degree, & Terroristic Threatening-3rd Degree. Harold R. Ballou, 71 of Burnside, arrested by Pulaski Co. Sheriff's Office for DUI-2nd Offense (Aggravated Circumstance), No Registration Plates, & Possession of an Open Alcoholic Beverage Container in a Motor Vehicle. Johnathan L. Woster, 30 of Eubank, arrested by Pulaski Co. Sheriff's Office for Wanton Endangerment-1st Degree. Vinson L. Phelps, 31 of Somerset, arrested by Burnside Police for Rear License Not Illuminated, Improper Signal, No Registration Receipt, No Insurance, License to be in Possession, No Operator's License, DUI, & Possession of an Open Alcoholic Beverage Container in a Motor Vehicle. Adrian A. Lawless, age 26, arrested by Danville Police for Possession of Controlled Substance-1st Degree (drug unspecified), Prescription Controlled Substance Not in Proper Container, Possession of Methamphetamine & Marijuana, & Tampering with Physical Evidence. Steven B. Caldwell, age 51, arrested by Danville Police for Possession of Methamphetamine, Public Intoxication-Controlled Substance, & Falsely Reporting an Incident. Tyler L. Calhoun, 25 of Danville, arrested by Lincoln Co. Sheriff's Office for Possession of Methamphetamine & Drug Paraphernalia, & Unlawful Possession of Meth Precursor. Shannon F. Luster, 45 of Richmond, arrested by Lincoln Co. Sheriff's Office for Careless Driving, DUI (Aggravated Circumstance, Possession of Controlled Substance-3rd Degree (drug unspecified), Possession of Methamphetamine & Drug Paraphernalia, No Insurance, Failure to Wear Seat Belts, & Endangering the Welfare of a Minor. Derek Stevens, 28 of Stanford, arrested by Lincoln Co. Sheriff's Office for Theft by Unlawful Taking (Farm Equipment-Over $500). 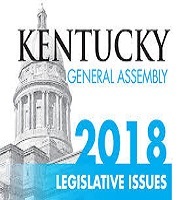 FRANKFORT – Calling the new public-pension law, Senate Bill 151, a “major step backward for all of Kentucky,” state Rep. Linda Belcher has filed an amendment that would give the General Assembly a chance to reverse its actions before concluding the legislative session. 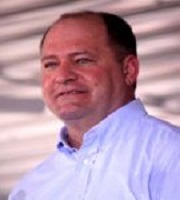 Rep. Belcher’s amendment – which is attached to Senate Bill 113, an unrelated retirement measure – would completely remove the enacted language of Senate Bill 151, the public-pension bill that many also call the sewage bill because that was the original subject matter of Senate Bill 151. “It’s our hope that the Republicans will show their support for government workers, educators and first responders by calling Senate Bill 113 so we can act on my amendment,” Rep. Belcher said. Both Rep. Belcher and Leader Adkins said that, if the amendment is not approved, they would seek to have the law retroactively overturned when the 2019 Regular Session begins. 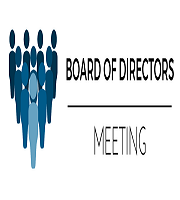 The regular meeting of the Columbia/Adair County EDA Board will meet on Tuesday, April 17, 2018 at 8:00 am in the Board room of the Chamber of Commerce, 201 Burkesville Street, Columbia, KY with Mark Dykes, Chairman, presiding. Portions of Adair County has been designated as an Opportunity Zone. TVA funds to be disbursed to 39 TVA Counties, of which Adair County is one of the counties. What that means and how much funding to expect. Brandy Blackburn, 25 of Lancaster, arrested by KSP for DUI-2nd Offense. Couch J. Roberts, 43 of Liberty, arrested by Deputy Brown with Casey Co. Sheriff's Office for DUI, Driving on a Suspended/Revoked Operator's License, Possession of Drug Paraphernalia, & No Insurance. Jerry L. Watson, 70 of Liberty, arrested by Deputy Brown with Casey Co. Sheriff's Office for Possession of Methamphetamine-1st Degree, & Possession of Controlled Substance-2nd Degree (drug unspecified). Regenia D. Carter, 27, & Willie E. Dugger, 33, both of Somerset, both arrested by Pulaski Co. Sheriff's Office for Receiving Stolen Property (Firearm), Receiving Stolen Property (under $500), & Tampering with Physical Evidence. 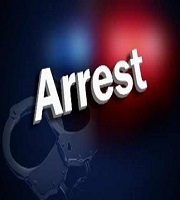 Ethan K. Fry, 18, & Kaysha M. Whitis, 19, both of Somerset, & Alexis D. Burton, 18 of Bronston, all arrested by Ky Fish & Wildlife for Criminal Trespassing-3rd Degree, Public Intoxication of a Controlled Substance, Possession of Methamphetamine & Drug Paraphernalia. Donovan N. Hogue, 18 of Eubank, arrested by Ky Fish & Wildlife for Burglary-1st Degree, Theft by Unlawful Taking (Firearm/Under $500), Criminal Trespassing-3rd Degree, License to be in Possession, No Insurance, Public Intoxication of Controlled Substance, & Possession of Methamphetamine & Drug Paraphernalia. Rayshon L. Parks, 27 of Somerset, arrested by Somerset Police for Indecent Exposure-2nd Degree, Public Intoxication of a Controlled Substance, & Terroristic Threatening-3rd Degree. Eli Wells, age 28, arrested by Boyle Co. Sheriff's Office for Possession of Heroin & Drug Paraphernalia. Keith P. Greer, 59 of Crab Orchard, arrested by Lancaster Police for DUI, Possession of an Open Alcoholic Beverage Container in a Motor Vehicle, Alcohol Intoxication in a Public Place, & Resisting Arrest. East Casey Co. Water has issued a BOIL WATER ADVISORY on Chestnut Level Road, from Matherly Road to the top of the hill. Until further notice, customers in those areas should boil any water used for human consumption. 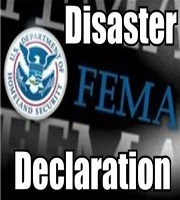 DISASTER DECLARATION FOR 22 COUNTIES INCLUDING METCALFE CO. Counties included in this declaration include Bell, Breathitt, Clay, Estill, Floyd, Harlan, Johnson, Knott, Knox, Lawrence, Lee, Leslie, Letcher, Magoffin, Martin, Metcalfe, Owsley, Perry, Pike, Powell, Whitley and Wolfe. The severe weather system in mid-February produced strong winds and episodes of torrential rain which caused flooding, flash flooding, landslides and mudslides. 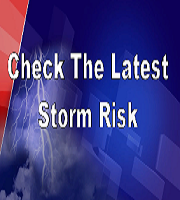 Some impacted counties lost roadways, bridges and associated structures. Gusty winds are forecast today, with peak values generally 30 to 40 mph. Areas of the Bluegrass, including the Lexington metro could see longer periods with 40 mph or greater, where a Wind Advisory is in effect. 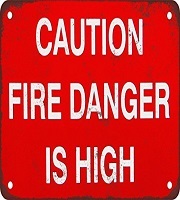 In addition...lower humidities today could create dangerous burning conditions. 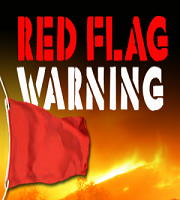 The lowest humidities are forecast around the Lake Cumberland region, where a Red Flag Warning is in effect. Expect gusty winds, dry conditions, and some additional fire weather concerns for Friday. Thunderstorms will be possible Saturday and Saturday night ahead of an approaching cold front. Some of these storms could be strong with gusty winds and heavy rainfall. 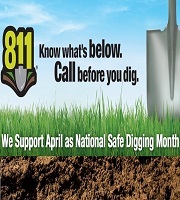 April marks the 10th anniversary of National Safe Digging Month. In observance of the occasion, Kentucky Utilities Company and Louisville Gas and Electric Company are reminding area residents to have underground utility lines identified to avoid digging dangers. The Federal Communication Commission’s designated call-before-you-dig number, 811, identifies buried lines that could be damaged as a result of excavation work. Residents can dial 8-1-1 or visit 811now.com to complete the online form and request underground facility markings at a single address. Not only can digging without knowing the location of underground utilities result in serious injuries, service disruptions and costly repairs when gas, electric, communications, water and sewer lines are damaged; it’s also illegal. Kentucky law requires all excavators – whether a homeowner or contractor, and whether working on a small project such as installing a mailbox or a larger one like building a deck or laying a patio – to contact operators of underground utilities before performing any excavation work. According to Common Ground Alliance, a national organization focused on protecting underground utilities across the country, an underground utility line is damaged every nine minutes because someone decided to dig without first contacting 811. In fact, nearly 40 percent of homeowners surveyed earlier this year on behalf of the organization admitted they will not call 811 before starting projects that require digging, even though doing so reduces the chance of causing damage by 99 percent. Start by planning ahead – Know what you plan to do, where you plan to do it and when you’d like to begin your dig. Contact Kentucky 811 by phone or online with 811Now.com – Submit locate requests at least two days before you plan to dig and provide the required information about your project. The Kentucky 811 phone service and 811Now.com can both be accessed 24 hours a day, seven days a week. Wait the required time for marking – When you contact Kentucky 811, they coordinate with Kentucky 811 member utilities in your area, including KU and LG&E, to have underground utility lines marked. This work is performed at no cost to you. A "locate request" goes out to member utilities, including those who provide natural gas, electric, telephone, cable and water service. Crews either mark their underground facilities or notify the excavator they have no underground lines in the area. Respect the marks and dig with care - Markings are completed using paint or flags according to the standard color code system. If you have any questions, you should contact the appropriate utility directly. KU is a Kentucky 811 member only in certain areas of its service territory. KU customers can visit the company website to see if they need to call 811 or KU directly based on their location. Shannon R. Lawhorn, 41 of Gravel Switch, arrested by Deputy Weddle with Casey Co. Sheriff's Dapartment on two counts of Fleeing/Evading Police-2nd Degree (Motor Vehicle/On Foot), Possesion of Methamphetamine & Drug Paraphernalia. Ronnie W. Bradshaw, 57 of Monticello, arrested by KSP for One Headlight, DUI, Possession of Controlled Substance-1st Degree/3rd Offense (drug unspecified), Prescription Controlled Substance Not in Proper Container, & Possession of Controlled Substance-2nd Degree (drug unspecified). Jamie D. West, age 29, arrested by Danville Police for Illegal Possession of a Legend Drug. Christopher D. West, age 30, arrested by Danville Police for Possession of Methamphetamine, & Prescription Controlled Substance Not in Proper Container. Candice A. Moore, 33 of Paint Lick, arrested by Stanford Police for Reckless Driving, Trafficking in Methamphetamine-1st Degree, Possession of Drug Paraphernalia, & Fleeing/Evading Police-2nd Degree (Motor Vehicle). At approximately 5:30 PM Wednesday, April 11, 2018 Deputies from the Pulaski Co. Sheriff's Office as well as Officers from the Burnside Police Department responded to a 911 call of an injury automobile accident. Upon arrival at the scene, Deputy Tim Pierce found a 1997 Ford Pickup Truck in the ditch on the north side of East Antioch Avenue. The operator of the vehicle, Toni L. Sharma, age 55 of Foxwood Drive, Burnside, Kentucky was found to be unresponsive. She was removed from the vehicle and CPR was begun. Acting Burnside Police Chief, Sergeant Mike Hill began an investigation at the scene of the accident to determine its cause. Interviews with eye witnesses determined that Ms. Sharma was eastbound on East Antioch Avenue when the pickup she was operating began to drift across the westbound lane and came to rest in the ditch. Pulaski County EMS continued life saving measures upon their arrival. However, those efforts were unsuccessful and Ms. Sharma was pronounced dead at the scene by Deputy Coroner Anthony Gossett. 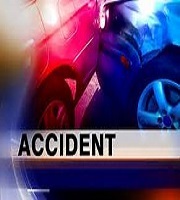 A passenger in the vehicle, Inderjit R. Sharma, age 59 of Burnside, Kentucky was uninjured in the accident. Pre- existing medical conditions may have been a contributing factor in the cause of the accident which remains under investigation by the Burnside Police Department and the Pulaski County Coroner's Office. Assisting at the scene were members of the Burnside Fire Department and Constable Mike Wallace. Every April, the Kentucky Circuit Court Clerks’ Trust for Life along with the entire United States celebrate National Donate Life Month. This a time to focus national and local attention on every individual’s power to make life possible by registering his or her decision to be an organ and tissue donor and learning more about living donation. Donate Life America chose this year’s artwork because often following a storm, the presence of a rainbow provides optimism and motivates us to endure through dark times. Organ and tissue donation is the bridge of comfort and hope between one family’s mourning and another’s healing — turning tragedy into renewed life. The Donate Life rainbow in the National Donate Life Month artwork rises from stormy clouds, recognizing that it takes both rain and light to create the gift of a rainbow. Maya Angelou’s message applies to people of all backgrounds and experiences, according to Shelley Snyder, executive director at the Kentucky Circuit Court Clerks’ Trust For Life. 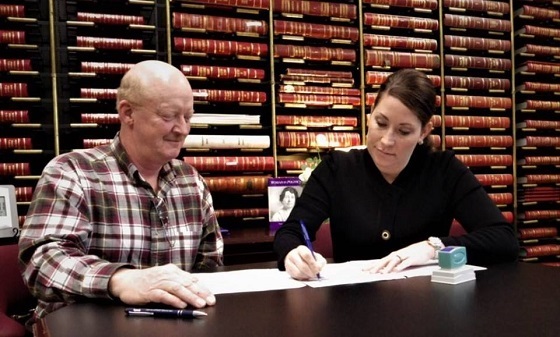 She said she greatly appreciates the work done by the Kentucky Circuit Court Clerks and their employees in asking customers about joining the Kentucky Donor Registry and about donating $1 toward this lifesaving mission. Everyone can register the decision to be donor by saying “YES” when you renew your driver’s license at your Circuit Clerk’s office. 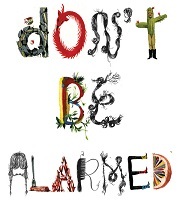 You can register online at RegisterMe.org (or in the Medical ID tab of the iPhone Health app). To learn more about being a living donor, visit DonateLife.net. Currently, 56% of U.S. adults, and 55% of Kentucky, have registered their decision to make LIFE possible and be organ and tissue donors if that is possible when they die. Yet the number of people in need of transplants continues to outpace the number of organs donated. Currently, 114,973 people are waiting for a transplant and a second chance at life, over 1000 kids and adults in Kentucky are waiting. On average, 22 people die each day because the organ they need is not donated in time—that is almost one person dying every hour. You can help by registering your decision to be an organ, eye and tissue donor, and learning more about living donation. “Everyone has the opportunity to be a rainbow in other people’s dark clouds through the gift of organ and tissue donation,” says LAST. **Data from the Organ Procurement and Transplantation Network (OPTN) as of March 29, 2018. The Russell Springs City Council will meet on Thursday, April 12, 2018 at 6:00 P.M.
profile vehicles, especially on E-W oriented roadways. low relative humidity will make for dangerous burning conditions. Consider finding another day to burn if you have plans for Thursday. As of 9:56 a.m. on April 11, 2018 the boil water advisory for customers on Sanders Ridge Road, Moxley Road, Gennie Hill Road been lifted by the Division of Water. This means your water is safe for human consumption. You no longer have to boil your water. 28-year-old Dante Sangster has died from a gunshot wound he sustained last month. On the morning of March 28, 2018, Sangster went to the home of Michael Ed Dial at 200 Church Street, Columbia, KY and was armed with a semi automatic handgun. After a short interaction between Dial and Sangster at the doorway, a single shot was fired striking Sangster in the neck. Sangster was flown to University of Louisville Hospital where he has been in critical condition. Sangster died yesterday (Tuesday, April 10, 2018). No charges are expected to be filed against Micheal Ed Dial. The case remains under investigation by CPD Sgt Jr Murphy. The Casey County Board of Education met in regular session Monday. Assistant Superintendent, Kevin Stephens, gave a construction report on Liberty Elementary School, citing some areas needing attention from the recent renovation. Those include Cameras, Gutters, HVAC, Leaks in the Foyer, & some touch up paint work. The Attendance Awared went to Liberty Elementary. Walnut Hill received Most Improved. Mayor Steven Brown, and County Judge Executive, Randy Dial, proclaimed next week as Week of the Young Child. Mayor Brown read the proclamation. In the line item consent items, the board voted to declare a 1988 Chevy Truck as surplus property. The board revised a policy on Student Welfare & Wellness, adding a Mental Health Professional to be hired and accepted the 1st reading of the policy. The board also voted to enter into a service agreement with Security Voice/Safe-Voice Hotline, at a cost of just under $1,700, or about .75 per student. Deena Randolph gave the board financial report. The Board voted to create Special Needs Instructional Assistant for next year. Last day of school for students is May 23rd, last day for staff is the 24th, and graduation will be held May 24th at 7pm. The Adair County Fiscal Court met on Tuesday. Jim Leib has details. 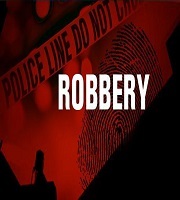 The Taylor Co. Sheriff's Office was dispatched to a robbery complaint on Sanders Road in Campbellsville. Mr. Paul Farmer, a resident of the area, was located near his home with injuries to his face, legs and arms. Farmer stated a visitor to his residence (later found to be Crystal Stines, age 40 of Greensburg, KY) has stolen money from inside his residence. Stines was located inside a home near Farmer's property. During an investigation with Stines she admitted to taking the money and striking Mr. Farmer with a rock after he attempted to stop her from leaving. Stines was arrested and charged with Robbery 1st degree and lodged in the Taylor Co. Detention Center. Deputy Dickie Benningfield was the investigating officer. Former Kentucky House Speaker Jeff Hoover has settled an ethics complaint regarding a sexual harrassment settlement with a former legislative staffer. The Jamestown Republican agreed to admit the violation as part of an agreement today (Tuesday) before the Legislative Ethics Commission. It requires him to pay a $1,000 fine and admit he violated the ethics code. He admitted to sending inappropriate text messages but said everything that happened was consensual in prior statements. He also acknowledged a settlement where four GOP lawmakers gave the accuser $110,000. Hoover would resign as House Speaker following the admission. Three other lawmakers had their harassment complaints dismissed during a hearing last week. A BOIL WATER ADVISORY is in effect for consumers of Columbia Adair Utilities District for customers on Sanders Ridge Road, Moxley Road, Gennie Hill Road. The advisory has been issued due to main line Leak. Following such an event, the potential exists for bacteriological contamination of the water supply therefore this Boil Water Advisory has been issued as a precautionary measure. Until further notice, boil all water used for drinking and cooking, bringing the water to a rolling boil for 3 minutes before using. For more information concerning the Boil Water Advisory, contact Lennon Stone at Columbia Adair Utilities District, 270-384-2181. The Russell County Fiscal Court met on Monday evening. Jim Leib has details. The Boil Water Advisories for Old Columbia Road, Gentriy Mill Rd and Pinetop Rd have been lifted. You no longer have to boil your water for drinking and cooking in these areas. Heather Cochran, with R.H.F. Consultants, gave a report on the city's Audit. She said the city got a "Clean Report" which is as good as it gets. The city is in good financial shape, and made some improvements over last year. The Founder of Kendall & Friends, Crimson Claycomb, addressed the council about building an All Inclusive playground in Liberty. Her Non-Profit company has built several of the parks, starting in Mercer County. The City Council is considering building the new playground, and is looking into Grants to fund the project. April was declared PRIDE Spring Clean-Up Month. The council heard a first reading of a Budget Amendment to the Water fund in the amount of just over $55,000 dollars to repair a water filter at the city water plant. A special meeting will be called for the 2nd Reading. Liberty is in need of a new Garbage Truck. The current truck has been experiencing mechanical failures. It costs the city $2,500 a week to rent a replacement. The cost of the new truck, proposed at last night's meeting is nearly $248,000. It requires a special can which will cost nearly $62,000. The city will be taking bids for a comparable truck. The Liberty Police Department is operating with expired bullet proof vests. The vests expired three years ago. Councilman, Doug Johnson proposed the vests be replaced ASAP, as the replacment cost of about $4,000, is miniscule compared to the liabilty to the city should one of the vests fail. The council voted to order the new vests for all City Police Officers. A Russell County man has been arrested on a Grand Jury Indictment that accuses him of drug trafficking. Acting on information received, Deputy Nathan Ginn obtained a search warrant Monday night for a residence about 3 miles south of Jamestown. The search was conducted around 8:45pm and resulted in 29 year old Thomas Fortenberry being found hiding in the attic of the house. Fortenberry was lodged in the Russell County Jail on charges of Trafficking in a Controlled Substance 1st Degree (methamphetamine) and Hindering Prosecution or Apprehension. Deputy Ginn was assisted by Deputy Lucas Justice and Det. Joey Hoover. The Russell Springs City Council will have a Special Called Meeting on Tuesday, April 10, 2018 at 6pmCT. The Adair Co. Fiscal Court will meet on Tuesday, April 10, 2018 at 6pmCT at the Adair Annex Basement Meeting Room. Columbia Police investigated an injury collision today (Monday) on Campbellsville Street. The accident occurred when 44-year-old Carlos Grant of Columbia, KY was traveling north on Campbellsville Street in a 1993 Ford Ranger. Grant failed to bring his vehicle to a stop when traffic in front of him had slowed or stopped, resulting In him striking a 2004 Grand Jeep Cherokee in the rear. The Cherokee was operated by 64 year old Paula Vancleave. Neither driver was injured, however a passenger with Vancleave, 72 year old Glen Vancleave was treated at the scene and transported to TJ Health Columbia by Adair EMS. Grant was charged with Operating on a Suspended Drivers License, No Insurance and Expired Tags. The collision was investigated by Sgt. Gary Roy. A fatal 2-vehicle wreck occurred over the weekend in Metcalfe Co. on the Cumberland Parkway. The accident occurred around 5 a.m. Saturday morning near mile marker 26. A vehicle driven by a woman along with another female passenger, both of Bowling Green, went the wrong direction by going east on the west bound side of the parkway and struck a truck. The two women are identified as 25 year old Tisha Allen and 23 year old Tamesha Turner. Thomas Voils was the driver of the truck that the car struck head-on, causing the truck to flip over. Both women were ejected from the car. Tisha Allen was pronounced dead at the scene; Tamesha Turner was transported to T. J. Samson Community Hospital in Glasgow for treatment of non-life threatening injuries. Tommy Voils is in stable condition at Vanderbilt Hospital. Police say alcohol may have been a factor in the crash. The Metcalfe Co. Sheriff's Office is investigating the accident. Adair County Sheriff Harrison Moss reports that on Saturday, April 7, 2018 at approximately 10pmCT, the Adair County Sheriffs Office received information that a subject that had been on the run from authorities for several months had been spotted at a residence 6 miles east of Columbia on Liberty Road. Sheriff Moss and Deputy Brandon Hitch, along with KSP Trooper Chase Willis, responded to this location to attempt to locate the subject. Upon arrival, 21 year old Teddy Pyles of Columbia, KY was located and arrested on outstanding warrants for Flagrant Non-Support and Criminal Possession of a Forged Prescription 1st Degree. During the arrest, officers located substances that appeared to be methamphetamine. Pyles was transported to the Adair County Regional Jail and additionally charged with Possession of a Controlled Substance 1st Degree, 1st Offense (Methamphetamine). Deputy Brandon Hitch was the arresting officer. Richard Steele of Campbellsville, KY has registered as a write-in candidate for State Representative in the November general election. Steel is running for the 51st District seat (Adair & Taylor counties) against Republican incumbent John "Bam" Carney of Campbellsville, KY.
Julie M. Pittman, 33, of Liberty, KY arrested by Officer Garrett with Liberty police for Assault-4th Degree (Domestic/Child Abuse), Resisting Arrest & Disorderly Conduct. Michael O. Hampton, 41, of Waynesburg, KY arrested by Somerset police on a Warrant for Parole Violation, Theft by Failure to Make Required Disposition of Property (over $500), Theft of Identity, Assault-4th Degree (Domestic), Trafficking in a Methamphetamine & Possession of Drug Paraphernalia. Dennis J. Goff Jr., 35, of Somerset, KY arrested by Somerset police for Carrying a Concealed Weapon & Possession of a Handgun by a Convicted Felon. Sherril Harris Jr., 51, of Eubank, KY arrested by Eubank Police for Possession of Methamphetamine/Marijuana/Drug Paraphernalia. Sara A. Littleton, 29, arrested by Danville police for Possession of Methamphetamine/Drug Paraphernalia. Christopher L. Terry, 39, arrested by Danville police for DUI, No Registration Plates, Possession of Methamphetamine/Drug Paraphernalia. Robert N. Aldrich, 31, arrested by KSP for Speeding (20 MPH over Limit), No Insurance, Failure to Wear Seat Belts, Possession of an Open Alcoholic Beverage Containter in a Motor Vehicle, Failure to Notify DOT of an Address Change, Driving on a DUI Suspended License-2nd Offense, DUI-3rd Offense & Recklesss Driving. There is a Boil Water Advisory in Russell Co. until further notice in the Shepherd Dr/Gentrymill Rd area and Old Columbia Rd due to a water main break. The Russell County Fiscal Court will meet on Monday, April 9, 2018 at 6:00 p.m.
A Boil Water Advisory is in effect for areas of Russell County until further notice. The advisory is for Pinetop Rd, a section of Oliver Thomas Rd and on Hwy 910 from the Casey County line down to east Mt Eden Rd. The Boil Water Advisory was issued on April 6, 2018 at 3:35pmCT. 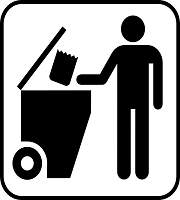 The Russell County Fiscal Court and Morgan Sanitation will hold a Free Trash Disposal Day on Wednesday, April 18, 2018 from 8:00amCT to 5:00pmCT at the Russell County Landfill. No tires will be accepted. For more information, contact the Russell County Judge Executive's Office at 270-343-2112 or H.M. Bottom at 270-585-1416. According to Pulaski County Sheriff Greg Speck, a Science Hill, Kentucky man was airlifted to UK Medical Center after an accident on Highway 461 on Thursday, April 5, 2018. Deputy Danny Pevley responded to a 911 call of a two car injury accident near the intersection of Tommy Road and Highway 461 at approximately 4:45 PM yesterday. Upon arrival, Deputy Pevley found two automobiles involved in a rear end collision and one individual suffering injury from the accident. According to Tamara Burton, age 50 of Broadhead, Kentucky; she was northbound on Highway 461 in a 2016 Nissan SUV. She became temporarily distracted and struck a 2005 Ford SUV that was stationary in the northbound lane preparing to make a turn. Dillon Meece, age 23 of Science Hill, Kentucky was operating the Ford SUV when it was struck in the rear. Mr. Meece was treated at the scene by Pulaski EMS and was airlifted by Air Methods to UK Medical Center for treatment of his injuries. Tamara Burton did not sustain injuries in the collision. Deputy Pevley was assisted at the scene by Shopville -Stab Fire Department volunteers. Columbia Police arrested a Russell County man on drug trafficking charges after investigating a theft. At 1:10amCT Friday, April 6, 2018 Columbia Police responded to a theft complaint at a local business on Burksville Road. Upon arrival and a search of the area, CPD Officer Josh Brockman located a male subject hiding in the back of a truck. Police discovered the suspect (identified as 38-year-old Michael Roeder) had in his possession several bags of suspected Methamphetamine along with pipes, syringes, digital scales, additional empty plastic baggies and various drug paraphernalia. Theft By unlawful taking under $500. In addition to the Methamphetamine, also seized was $400 dollars cash and a 2007 Chevrolet truck. Officer Brockman was assisted by OfficerJohn Dial. Terri D. Edwards, 49, of Liberty, arrested by Officer Smith with Liberty Police on charges of Theft by Unlawful Taking (under $500), Alcohol Intoxication in a Public Place, & Possession of Marijuana. Ronald L. Cook II, 34 of Science Hill, arrested by Pulaski Co. Sheriff's Office for Possession of Methamphetamine/Marijuana/Drug Paraphernalia, DUI, & Rear License Not Illuminated. Kenneth F. Rose, 40 of Somerset, arrested by Pulaski Co. Constable for Alcohol Intoxication in a Public Place, Resisting Arrest, Disorderly Conduct-2nd Degree, & Assault-3rd Degree (Corrections Officer). Richard C. Foreman, 46 of Somerset, arrested by Pulaski Co. Sheriff's Office for Menacing, Resisting Arrest, Disorderly Conduct-2nd Degree, & Alcohol Intoxication in a Public Place. Gloria Ortega, 58 of Somerset, arrested by Somerset Police for Arson-2nd Degree, Tampering w/Physical Evidence, & Abuse of a Corpse. Logan J. Meece, 20 of Monticello, arrested by KSP for Trafficking in Heroin. Columbia Police arrest Adair County man following suspicious person complaint . Tuesday, April 3, 2018 Columbia Police Department received a call from LWC public safety of a suspicious male walking around in campus property. Upon arrival Sgt Gary Roy located the person in question . It was found that he was not a student and he was found to be in possession of a firearm and illegal narcotics. Gilbert was lodged in the Adair County Regional Jail by CPD Sgt. Gary Roy who was assisted by Officer Charles Greer. RUSSELL SPRINGS, Ky. (April 3, 2018) – Kentucky’s leading drug and alcohol testing provider, Premier Integrity Solutions, announced its new executive leadership team today. The Russell Springs-based business will be led by Kentuckians with long histories of service with the company, and who pledged to continue Premier’s standards of excellence and performance in drug and alcohol testing, background checks and client education. Dwight Bastin is the new president, CEO and co-owner of Premier. Bastin co-founded the company in 1999. His decades-long sales career will be instrumental in securing new contracts, maintaining client satisfaction and driving Premier’s future growth. Angela Ragle is Premier’s new CFO and co-owner. Ragle joined Premier in 2007 and has served in a variety of capacities in the past 11 years. A lifelong resident of Russell Springs, she is committed to maintaining the company’s deep roots in that community while expanding Premier’s services throughout the country. Molly Rose will serve as COO for Premier. With nearly nine years of service at the company, Rose will work directly with clients and laboratories to develop tailored plans for their success. Michael West will serve as VP for Premier Judicial Solutions, a division of Premier Integrity. He manages criminal justice testing and electronic monitoring needs and is instrumental in maintaining and expanding Premier’s court service offerings. Mike Bunch will serve as VP for Premier Drug Testing, a division of Premier Integrity. Bunch has extensive dealing with federally regulated and non-regulated testing. Hayden Conn will serve as Information Technology Director (IT), writing and maintaining specialty software programs utilized by Premier Integrity to better serve clients’ specific needs. Few open market products and companies have robust, secure online portals. The Columbia/Adair Utilities District (CAUD) Board of Directors will meet at 4:30pmCT, Thursday, April 5, 2018, for a special regular monthly meeting in the Board Room of the CAUD District Office at 109 Grant Lane, Columbia, KY.
An investigation by the Jamestown Police Dept. has resulted in the arrest of 36 year old Andy McClister of Jamestown, KY. McClister was arrested and charged with Theft by Unlawful Taking over $500.00 and Theft of a Legend Drug 1st Offense under $300.00. The arrest stems from an invstigation into several vehicle break-ins that have been reported to Jamestown Police this past weekend. The Jamestown Police Dept. would like to remind citizens to lock their vehicles and remove any valuables. Thursday, April 5, 2018, Russell Co. Judge Exec. Gary D. Robertson and the Russell County Fiscal Court, in conjunction with the Feeding America, Kentucky's Heartland program, will be giving out commodities at the Russell County Rescue Squad Building located on South Hwy 127 from 11 am - 1 pm or until all commodities are given away. For more information, please contact the office of Russell County Judge/Executive Gary D. Robertson at 270-343-2112. Kentucky State Police Bowling Green received a call of a stolen vehicle from Illinois traveling in the Bowling Green area on Interstate 65 today around 1:00pm CT. Preliminary investigations indicate that 56 year-old David Johnson of Nashville, TN had stolen a 2015 Chevrolet Cruze belonging to his girlfriend in Illinois. Johnson left the state traveling to his home in Nashville when local police in Illinois were using OnStar to track the vehicle. The vehice was pinged near Bowling Green on Interstate 65 traveling south. Units located the vehicle around the 10 mile marker in Simpson County. When units attempted to stop the vehicle, the driver sped up resulting in an 8 mile pursuit. The driver was forced to stop, when OnStar disabled the vehicle north of the Franklin exit. The driver was taken into custody, lodged in the Simpson County Jail and was charged with Receiving Stolen Property, Speeding, Fleeing or Evading Police and Operating on a Suspended License. Officer First Class R. M. Murley is investigating and was assisted by Sgt. Brandon Ford. to 10 AM EDT /9 AM CDT/ Thursday. vegetation that has progressed enough to be sensitive. RUSSELL SPRINGS MAN ARRESTED BY RUSSELL CO. SHERIFF DEPT. A Russell Springs man is facing a multitude of felony charges after extensively damaging a relative’s home & property and then resisting arrest. At 3:23 p.m. Tuesday, Deputy Evan Burton responded to a call for assistance at 83 Jimmy Avenue in Russell Springs. Upon arrival, Deputy Burton observed damage to the residence and two motorcycles caused by a pickup truck that was operated by 40-year-old Kevin Lawless. While being taken into custody, Lawless pulled a knife on Deputy Burton, but he was quickly incapacitated by Deputy Burton’s taser. Lawless was lodged in the Russell County Detention Center on several charges including DUI, three counts of Wanton Endangerment, Assault 3rd Degree on a Police Officer, Possession of a Controlled Substance (Methamphetamine), Criminal Mischief 1st Degree, Resisting Arrest and Carrying a Concealed Deadly Weapon. The four lawmakers signed a secret sexual harassment settlement last year involving a woman who once worked for the House Republican Caucus. Hoover resigned as speaker in January and the other three lost their leadership positions. Hoover has denied sexual harassment, but said he did send inappropriate but consensual text messages. Lawyers for the three say DeCesare and Linder sent text messages to the woman who made the allegations while Meredith said something "vulgar" to her. The boil water advisory in Russell County has been lifted. The advisory was issued on Monday due to a water main break on Old Columbia Road near Shepherd Dr. Again, the Boil Water Advisory has been lifted. STORM LEVEL THREAT HAS INCREASED TO LEVEL 4! The threat level for tonight’s storm has increased to Level 4 “Moderate Risk”. The expected timing is between 9:30PM to 1:30AM. 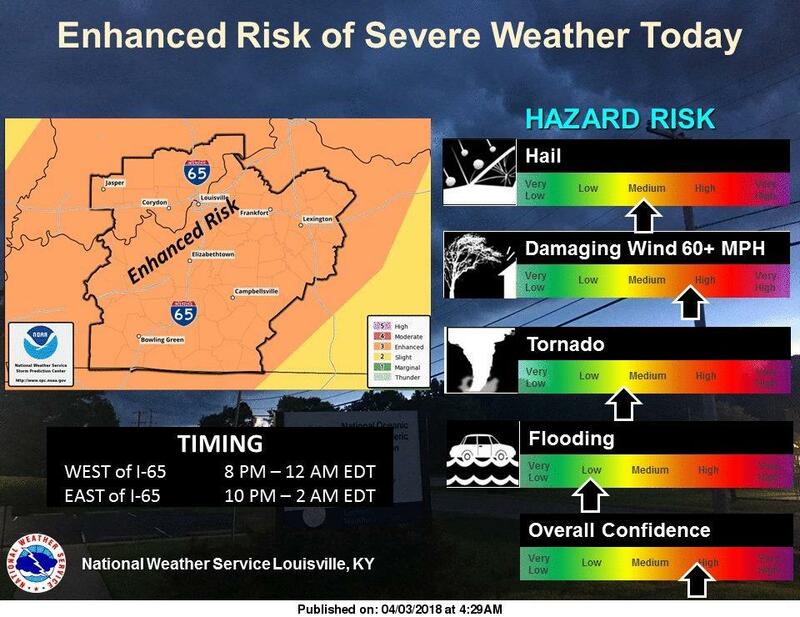 Currently the expected arrival of tonight’s storms is between 9PM and 1AM. The Adair County Annex Basement will be open as a shelter during the storms. Pulaski County Sheriff Greg Speck reports that a Burnside, Kentucky resident was arrested on drug charges following a 911 call of a domestic dispute in progress on Saturday, March 31, 2018. Deputy Ricky Shirley responded to the domestic dispute at 11:45 PM Saturday night on Sexton Lane in Burnside, Kentucky. Upon arrival at the residence, Deputy Shirley was initially denied entry. However, after smelling a strong odor of marijuana and hearing an altercation in the back of the residence, he made entry to investigate. Two subjects involved in an argument were separated and a search of the residence was begun for additional individuals involved in the disturbance. Eight potted marijuana plants were located in the bathroom during the search as well a grow light and harvested leaves from some of the plants. Harry Martin, age 31 of Sexton Lane, Burnside was taken into custody and charged with: Cultivating Marijuana (5 Plants or More) 1st Offense. He was lodged in the Pulaski County Detention Center without incident. Deputy Shirley was assisted at the scene by Sergeant Richard Smith of the Sheriff's Office and KSP Troopers Corey Jones and Travis Thompson. The Russell County School System is once again joining with Campbellsville University in recognizing some great teachers across the state. Here's Russell Co. School Supt. Michael Ford. 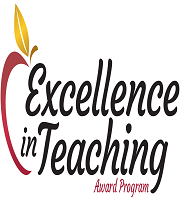 The Excellence in Teaching Awards ceremony is Saturday, May 19, 2018 in the Ransdall Chapel on the campus of CU. The 2019 Russell County award recipients are: Lisa Kerr from Salem Elem. School, Faith Womack from R.C. Middle School and Davene Davore from R.C. High School. 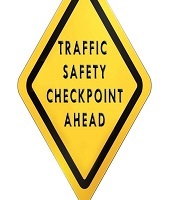 Columbia, Ky. (April 2, 2018) – Kentucky State Police, Post 15 will be conducting safety traffic checkpoints in the Post 15 area, which includes Washington, Marion, Taylor, Green, Casey, Russell, Adair, Metcalfe, Monroe, Clinton and Cumberland. Troopers will be checking for impaired drivers, children that are not properly restrained in child safety seats and informing the public about the use of seatbelts. These safety checkpoints will be conducted in various locations throughout the Post 15 area that are experiencing a high ratio of vehicular crashes resulting in injury and/or death compared to relatively low safety restraint usage ratio. There is a water main break on Old Columbia Road near Shepherd Dr. The water is off for repairs. There will be a Boil Water Advisory in this area of Old Columbia Rd and all side roads, part of Gentry Mill Rd, Rose St, & Village Drive until further notice. 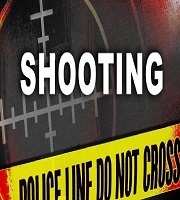 Columbia Police are continuing their investigation into a shooting incident that occurred on March 28, 2018 in the limits of Columbia, KY. The investigation has revealed so far that 28 year old Dante Sangster had made multiple verified threats against the lives of 46 year old Micheal Ed Dial and/or his family members. Some threats were made as recently as within an hour of the incident. On the morning of March 28, 2018, Sangster went to the home of Dial at 200 Church Street and was armed with a semi automatic handgun. After a short interaction between Dial and Sangster at the doorway, a single shot was fired striking Sangster in the neck. Dial called 911 and told them what happened. CPD Officers and Sheriff's Deputies arrived on scene. PHI airlifted Sangster to University of Louisville Hospital where he is still listed in critical condition. At this time no charges are expected to be filed against Micheal Ed Dial. On Sunday, April 1, 2018 at approximately 9:35pm, the Adair County Sheriffs office responded to a single vehicle injury accident on Campbellsville Road near the intersection of Ky 682. The accident occurred when 23 year old Christopher Fletcher of Montgomery, Alabama was traveling North on Campbellsville Road. Fletcher stated his 2010 Lexus hydroplaned and struck a guardrail. Fletcher was treated on the scene by Adair County EMS, with assistance from Taylor County EMS. He was then transported to T.J. Health Columbia for possible injuries. Deputy Brandon Hitch is the investigating officer. He was assisted by the Columbia Police Department and Constable Jason Rector. Rodney W. Stevens, 38 of Somerset, arrested by the Pulaski Co. Sheriff's Office for Criminal Trespass-1st Degree, & Possession of Burglary Tools. Rashad M. Dunn, 28 of Campbellsville, arrested by Pulaski Co. Sheriff's Office for Criminal Trespass-3rd Degree, Disorderly Conduce-2nd Degree, & Resisting Arrest. David L. Whitis, 56 of Nancy, arrested by Pulaski Co. Sheriff's Office for Harassing Communications, & Violation of a Stalking Restraining Order. Timothy B. Schumacher, 33 of Woodstock, GA, arrested by Somerset Police for DUI, Possession of Marijuana, & Possession of an Open Alcoholic Beverage Container in a Motor Vehicle. John C. Dowden, 38 of Nancy, arrested by Pulaski Co. Sheriff's Office for DUI-2nd Offense, No Registration Plates, & No Insurance. Samuel L. Baker, 19 of Eubank, arrested by Pulaski Co. Sheriff's Office for Possession of Heroin/Marijuana/Drug Paraphernalia. Ozzie J. Steffen, age 36, arrested by KSP for Failure to Signal, Driving on an Expired Operator's License, Resisting Arrest, Menacing, Possession of an Open Alcoholic Beverage Container in a Motor Vehicle, Assault-4th Degree, & Possession of a Handgun by a Convicted Felon. Jesse J. King, age 32, arrested by Boyle Co. Sheriff's Office for DUI, & Careless Driving. Pulaski Co. Sheriff, Greg Speck, reports a Corbin, Kentucky man was arrested on theft charges on Friday, March 30, 2018. At approximately 11:20 AM Friday morning, a home owner in Windy Hill Subdivision off south Highway 27 observed a man stealing a trailer from her yard. The 911 Dispatch Center immediately advised officers county-wide to observe for a small silver blue pickup truck pulling a black trailer with drop gate driven by a Caucasian male. Within minutes of the dispatched call, Deputy David Wesley observed a vehicle fitting the description eastbound on Highway East 80 near Sugar Hill. Deputy Wesley conducted a traffic stop and made contact with the vehicle operator, Carl J. Smith, age 39 of Corbin, Kentucky. Deputy Wesley obtained a positive identification of the suspect and the trailer after the victim was summoned to the scene of the traffic stop for eye witness identification. Carl J. Smith was arrested and charged with: Theft by Unlawful Taking (Over $500 but Less than $10000. He was lodged in the Pulaski County Detention Center without incident. Deputy Wesley was assisted at the scene by Deputy Danny Pevley of the Pulaski County Sheriff's Office.